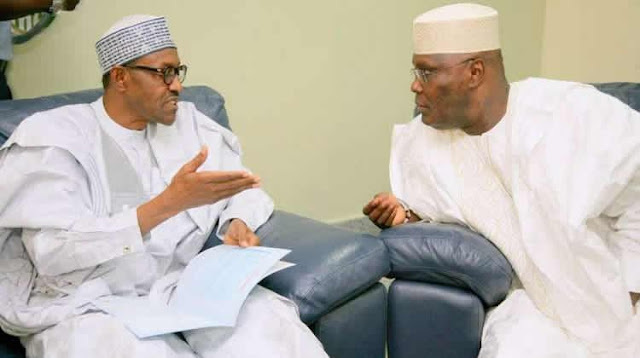 The Presidential Candidate of PDP, Atiku Abubakar, has lost his polling unit, Ajiya unit 02 in Gwadabawa Ward of Yola North Local Government Area of Adamawa to President Muhammadu Buhari of the APC. Atiku polled 167 votes to emerge second to Buhari who got 186 votes. The Assistant Presiding Officer, Mr Abdulrasheed Mohammed, who announced the results, said a total of 365 votes were cast for the presidential election at the unit. Similarly, the Senatorial candidate and House of Representatives candidates of the APC defeated their PDP counterparts at the unit. Aishatu Dahiru the senatorial candidate of APC, got 185 votes to defeat Mohammed Chubado of PDP who got 120 votes, while APC House of Representative candidate scored 145 votes to defeat his PDP counterpart who got 121 votes.